← How to decide what to do, whatever the evidence. Some perspectives here from our work with youth workers – we find that youth workers generally are pretty clued in about the kind of techniques that are important for developing motivation in young people. 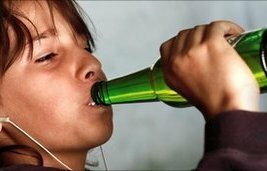 Nonetheless, it is a big challenge for employers to provide adequate training/support to the many part-time and sessional youth workers to build their confidence in delivering interventions on alcohol. One consideration that youth workers often raise with us is a sense of discomfort with the idea of IBA sometimes being presented as a fairly short, one off intervention. They feel that it is important to build a good relationship and trust with young people and therefore that interventions like IBA are best delivered in a kind of ‘drip, drip’ approach over multiple conversations. This is contrary to the kind of IBA that is often promoted in primary care settings and the findings of the Cochrane review (http://summaries.cochrane.org/CD004148/effectiveness-of-brief-interventions-in-primary-care-populations) that longer interventions or those delivered over multiple sessions were no more effective than short one-off ones. One could postulate (as the NTA once did http://www.nta.nhs.uk/uploads/nta_review_of_the_effectiveness_of_treatment_for_alcohol_problems_fullreport_2006_alcohol2.pdf) that one off interventions may be less appropriate the higher the level of vulnerability/need of the person receiving the intervention. The same may apply to young people!